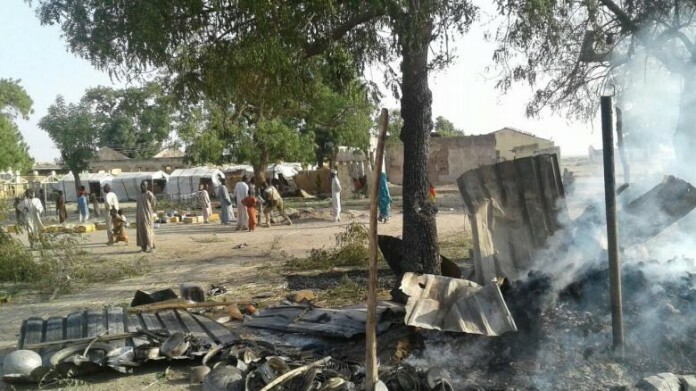 BEVERLY HILLS, March 15, (THEWILL) – Six persons have been killed in suicide attacks suspected to have been carried out by Boko Haram terrorists in Maiduguri, the Borno State capital. A statement by the information officer in charge of the National Emergency Management Agency, NEMA’s Northeast zonal office, Mallam Abdulkareem Ibrahim disclosed that the attacks happened at about 1.15am on Wednesday. Ibrahim said the attacks were by four teenage girls who had explosive devices strapped on them. The statement read: “Four female teenage suicide bombers and two other men died (6 people) when the four females detonated explosives at Usmanti along Mina Garage road at about 1. 15 am.